An inbred white tiger cub plays with its mother Surya Bara at a zoo in the city of Liberec, Czech Republic, Monday, Sept. 3, 2012. It’s one of triplets that were born in July. 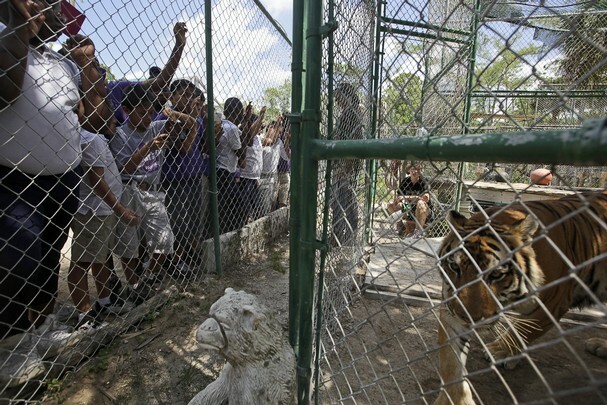 (Petr David Josek, AP) http://www.timesunion.com/news/slideshow/White-tigers-48446.php Note: All white tigers are the result of inbreeding.